Is your diet making you ill? Do you suffer from anxiety, headaches, bloating, asthma, diarrhoea, depression, weight control issues or other symptoms you can’t seem to eradicate? If so, there’s a strong chance you have a food intolerance. Is food intolerance the same as an allergy? No, they cause different chemical reactions in your body. An allergy can trigger a life-threatening response within seconds. An intolerance, on the other hand, is not life-threatening, but more common and can cause very unpleasant symptoms that can build up over time. It is now believed that food intolerances are linked to an IgG immune response in the body, caused by an accumulation of antibodies. This is distinct from the classic allergic IgE reaction. How common are allergies and intolerances? Some experts suggest that up to 45% of the population suffer from an intolerance to one or more foods. Only 2.5 per cent of the population suffer from an allergy (and the most common allergies are to shellfish and nuts). Which test would Mission Nutrition recommend to detect a common food intolerance? 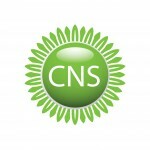 The CNS Foodprint 60 test, which is a laboratory based test using Genarrayt microarray technology (the new gold standard in food IgG testing). It analyses a tiny sample of your blood to identify your problem foods. It detects and measures IgG antibodies to 60 different foods. The test requires a tiny pinprick of blood which can be collected at home. 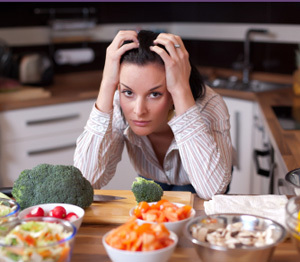 Both you and Michelle will receive a detailed and accurate report of the most reactive foods within 10 working days. Almond, apple, avocado, barley, basil, bean (white haricot), beef, peppercorns (b/w), blackberry, brazil nut, broccoli, brussel sprout, cabbage, carrot, cashew nut, cauliflower, cherry, chicken, cod, corn (maize), cow’s milk, crab, durum wheat, egg white, egg yolk, garlic, ginger, gliadin, goat’s milk, grape, grapefruit, haddock, hazlenut, lamb, lemon, lime, lobster, mushroom, mustard seed, oat, orange, oyster, pea, peanut, pear, pineapple, pistachio, plaice, pork, potato, raspberry, red chilli, rice, rye flour, salmon, shrimp/prawn, soya bean, strawberry, trout, tuna, turkey, wheat, yeast (bakers), yeast (brewers). Please note – vegetarian, vegan, 120+ & 200+ food tests are also available. Please call or e-mail Michelle for further information. Who analyses the tests for you? What happens once I’ve placed an order via PayPal on this page? Michelle will be in touch within one working day to arrange a convenient consultation time – if not, please assume that there is a processing error and contact Michelle directly. You should receive your test kit within a week. NB: Make sure your PayPal email is still valid, as that’s the one we’ll use to contact you! If you have any concerns, or would like to discuss whether testing would be suitable for you, just drop us an email. You will be asked to complete and return a detailed health and lifestyle questionnaire. Then once the test results are back, and you have returned your questionnaire, you will have a consultation with Michelle. During your session, she will advise you on how to replace the most reactive foods whilst maintaining a healthy and enjoyable diet. Food intolerances are often just part of the picture and Michelle will suggest other possible underlying causes for your specific health conditions and devise a personalised programme with supplementation where appropriate. A substance called neoxanthin in spinach has been shown to help prostate health.